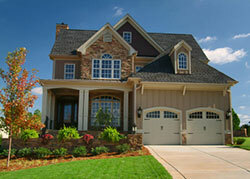 Highlands Ranch Property Management, Highlands Ranch Property Managers, Highlands Ranch , CO Property Management Companies. Citadel Property Management offers a full range of property management services tailored to you as an investor, homeowner, or landlord. We have a portfolio of single-family homes, townhouses and condos in the Highlands Ranch and surrounding South Suburban area. Like many parts of the Colorado Front Range, the first residents of Highlands Ranch were Native Americans. The area was populated by a number of nomadic tribes, including the Ute, Cheyenne and Arapaho tribes. Because it was part of the Mississippi River Drainage Area, Highlands Ranch was claimed for France by French explorer René-Robert Cavelier, Sieur de La Salle and it was named as part of "Louisiana" in 1682. The Spanish gained Louisiana in 1763, and returned it to France in 1801. Highlands Ranch was in the Louisiana Purchase when it was sold to the United States in 1803.